Charizma lawn eid collection 2012 was just released yesterday. It consists of vibrant lawn prints for eid. 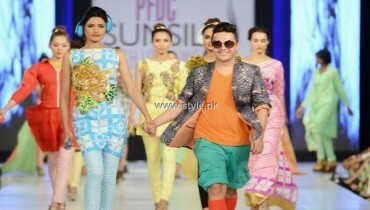 The prints in Charizma lawn eid collection 2012 mostly have geometric and abstract designs. Moreover, the fabric is quite appropriate for the summer heat. It will be perfect if you plan on wearing something simple and comfortable for eid. Casual wear outfits can be created out of the fabrics. Girls and young women will especially find them appropriate for eid. Complete three piece suits with printed dupatta and shirt and plain trouser fabric are included in Charizma lawn eid collection 2012. Charizma Lawn was launched in 2012 only. In a short period of time, it has built quite a large fan following. It is owned by Riaz Arts, which is a wholesaler chain of Pakistan. The brand caters to the needs of those people who want something stylish and chic without sacrificing the price. It deals in different fabrics like cottons, voiles, lawns and much more. It has released two volumes of lawn prints in this year alone and both of them have been appreciated by the public. It provides its fabrics through all the leading fabric shops of the country. 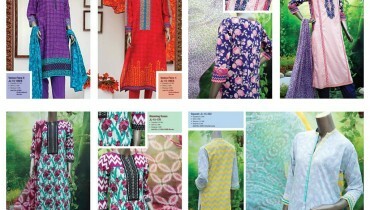 The pictures of some of the prints from Charizma lawn eid collection 2012 are given below. If you want them then you can get the prints from a fabric store near you. 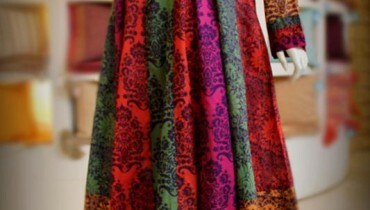 The outfits from Charizma lawn eid collection 2012 will be good for the second day of eid or on eid morning. If you have any queries about Charizma lawn eid collection 2012 or anyother collection by Charizma lawn, you can email the owners of the brand or contact them through telephone. For viewing the past collections of Charizma lawn you can visit the Facebook fan page of the brand. The address is given below.